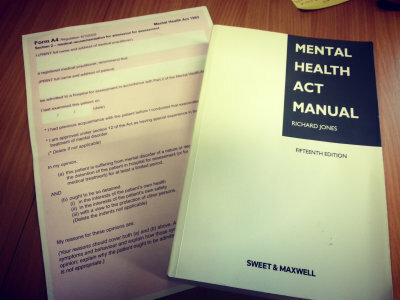 A new code of practice for the Mental Health Act has been issued, marking the first revision to the code since 2008. The new code will come into effect from 1st April 2015 and can be downloaded here. Significant amendments to the code include a new chapter on the interface between the Mental Health Act and Mental Capacity Act and updated chapters on the use of restraint and seclusion rooms. The revised code has been issued by the Department of Health following a consultation on a draft version. The DH said it had received 350 responses to the consultation and it will publish its full response imminently. A consultation document accompanying the draft code also invited feedback on how the DH could provide further guidance to support Approved Mental Health Professionals in cases where they struggle to secure beds for patients in need of admission. A series of investigations by Community Care and BBC News have revealed how bed shortages have led to patients being admitted to hospitals hundreds of miles from home. Research by The College of Social Work found that problems accessing beds had seen emergency admissions delayed by up to three weeks.